When Jonathan Gomez Barrientos looks through the telescope on the front lawn of his family’s East Hampton home, he examines the universe that baffles him so. He takes in the red storm swirling on the surface of Jupiter. He sees the pockmarks on the face of the moon, like acne scars on an adolescent’s cheek. He notices clusters of stars that burn like fireworks. Each of us so insignificant, he said. And yet one person can achieve something significant. Or in this case, two classmates can do it together. Gomez, 17, is graduating on June 22 as salutatorian of the Class of 2018 at East Hampton High School. Alexander Nicholas Sigua Pintado, 18, who goes by Nick, is the valedictorian of the 215-member class. For the first time in school history, the top two students in the graduating class are Latino. 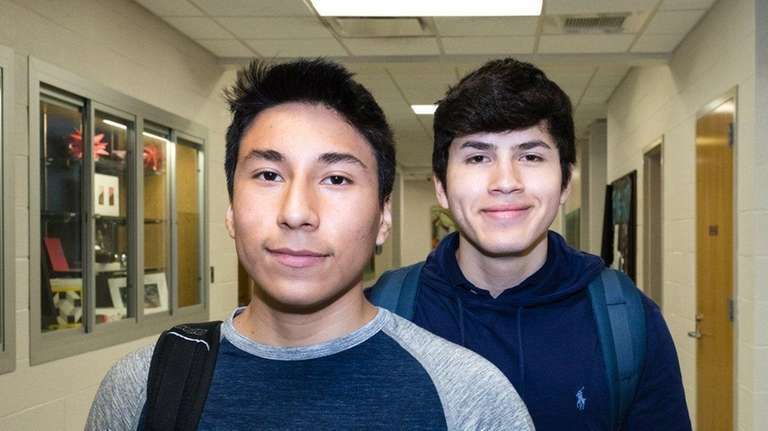 Sigua will be the first in his family to obtain a college degree, and both will attend Ivy League institutions come fall — Sigua at Harvard University to major in political science, and Gomez at Cornell University to study astronomy and physics. “These kids, whether Latino or not, are two of the best young men I’ve encountered in my career,” said Principal Adam Fine. In addition to excelling academically, Gomez is senior class co-president and goalkeeper on the varsity soccer team. During his junior year, he traveled to Malawi with the BuildOn club to help construct a school. Sigua is captain of the swim team, competing in freestyle and butterfly, is on the tennis team and works during the summer as a lifeguard at the private Ross School’s summer camp. This year, he and other students created a Debate Club. 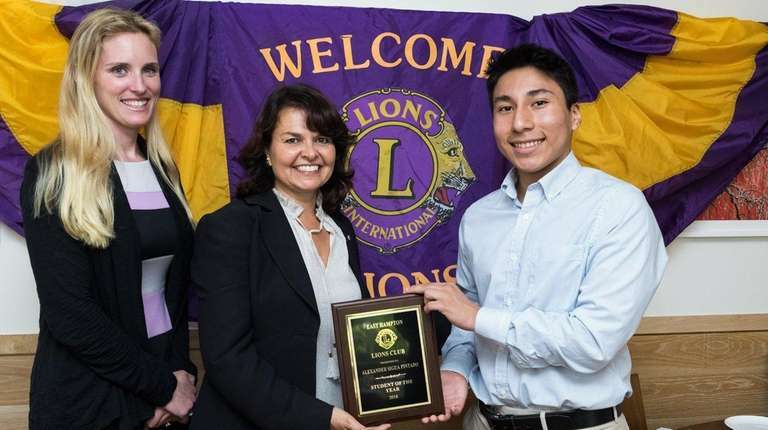 The Lions Club awarded Sigua a “Student of the Year” scholarship during a dinner at the high-end restaurant Nick & Toni’s, in East Hampton, that will provide him $500 each year of college to buy books. He and Gomez were each awarded an $8,000 scholarship toward their studies by The Ladies Village Improvement Society. Sigua and Gomez will each make a speech at graduation, and both said they hope to be an inspiration to younger Latinos. Sigua, of Springs, has already spoken about his journey to an assembly of kindergarten through fourth-graders at the Springs School, which he attended. “He’s such a great role model for our kids,” said Joan Branche, who was Sigua’s third-grade teacher. Sigua was born in East Hampton to parents who emigrated from Ecuador three years earlier. Gomez moved from Guatemala with his single mother when he was 7. 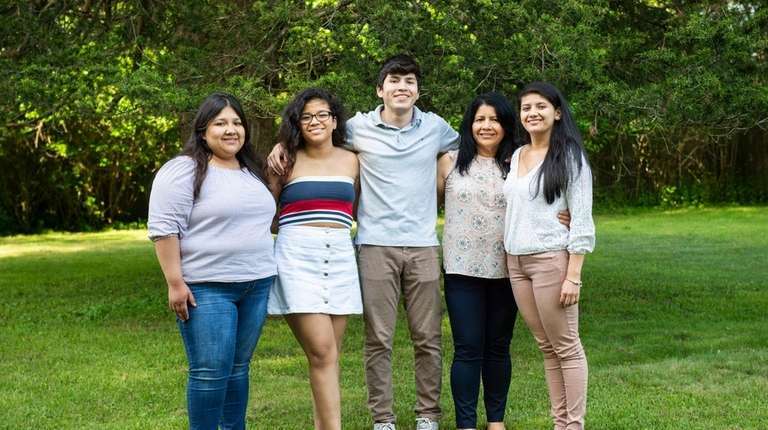 They’ve achieved their success at a time when political tension over the nation’s immigration policies has spread its tentacles into the high school, where 55 percent of students are Latino. After President Donald Trump’s election victory in 2016, some students came to school wearing “Make America Great Again” hats and celebrating. 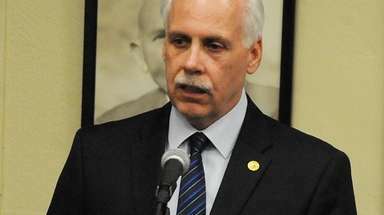 “I’m not blind to the fact that there are underlying tensions that always exist here,” Fine said. Gomez and Sigua both have parents who started out in the Hamptons, known mostly for its hedgerows, multimillion-dollar mansions and famous and wealthy homeowners, serving the more well-to-do. That’s why the teens’ achievements transcend their individual accomplishments, said classmate Michael Walsh, 18. 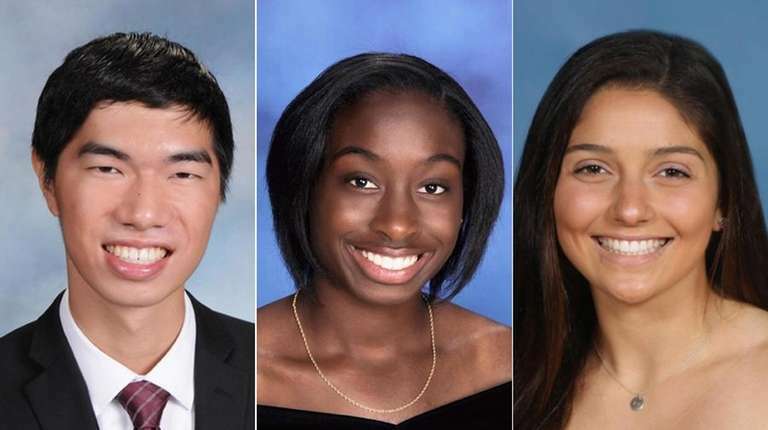 SEE PHOTOS Which LI salutatorians are bound for the Ivy League? One early June afternoon, Sigua and Gomez sat in the front row of an English class offered for college credit through Syracuse University called “Class and Literary Texts.” They each had a project partner and had to choose a movie in which characters have a disability and explore how the director treated the disability. Their selections offer a window into their personalities. Sigua and his partner chose “Finding Nemo,” the 2003 animated Disney children’s film that focuses on a young clownfish with a deformed fin. “I think we wanted to do a film that was more light,” said Sigua, whose smile exposes deep dimples. 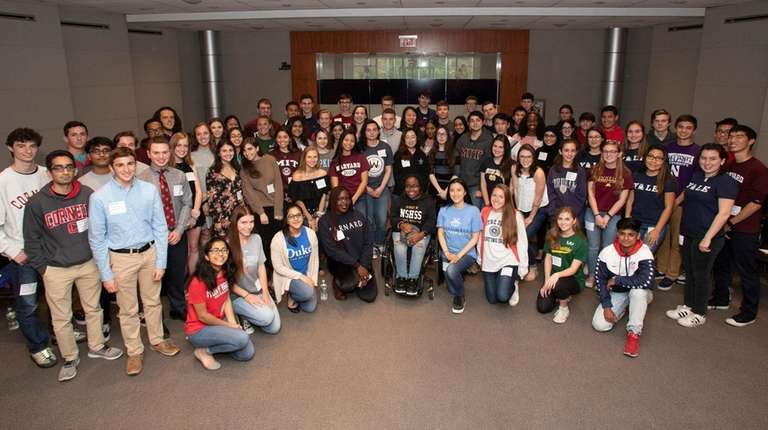 That’s also how he approached the college admission essay that helped seal his acceptance to Harvard as well as six other of the eight Ivies (he was waitlisted at Princeton University). Sigua chose to write about something humorous: how, at 5-foot-4, he has dealt with being short. “Typically lost in a sea of bodies, I detest being forgotten, and instead work to be recognized in every class I take,” he wrote. Gomez and his partner chose “The Theory of Everything,” a 2014 film about the life of renowned physicist Stephen Hawking, who wrote a bestseller about the origin of the universe, but also lived with ALS, or Lou Gehrig’s disease, until his death in March. 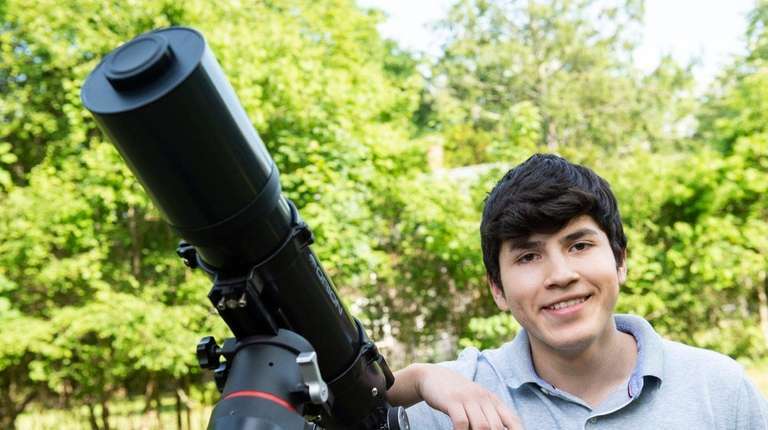 For the admission essay that won Gomez early decision acceptance to his first choice of Cornell, he explained how he earned the money to buy himself a refractor telescope. SEE PHOTOS What happens when everyone in the room is a valedictorian? “Some nights after a long day of work, I would look up at the twinkling stars and wonder how they would look through my lens,” he wrote. Working all summer during 2015 as a busboy at La Fondita Mexican restaurant in East Hampton enabled him to buy the sophisticated telescope that perches on his lawn like a giant, black praying mantis. Sigua’s favorite classes include AP Language and Composition and AP Government. Of instructing Sigua in the composition class, Joseph O’Donnell said, “It became almost like polishing a gem that was already there.” Sigua said he found it most challenging adjusting to AP U.S. History in 11th grade, because the testing style focused heavily on inferences and analyzing documents. Though he and Gomez have four classes together this year, they aren’t close friends. “I think the first time we actually hung out was this weekend because we had to work on a project together with another student,” Gomez said. Sigua’s parents, Zara and Benjamin, met in Cuenca, Ecuador, a city in the Andes Mountains. Though each worked there — Benjamin on a farm while trying to pay for a degree in electrical engineering, Zara in a clothing store — they said they couldn’t get ahead financially. The couple moved to the United States in 1997 because Zara had a brother who lived in East Hampton. Benjamin started working maintenance for the private Ross School in East Hampton, and Zara was a housekeeper at a bed and breakfast. When Nick was born in 2000, the family lived in a rented room in a house shared with other Ecuadorans. Zara said that she learned English along with her young son. “When he was born, I started watching ‘Sesame Street’ and buying little books,” she said. Eventually, she took a job serving lunch to students at the Ross School, and Benjamin became a landscaper for East Hampton Town. They purchased a modest ranch home and the family grew to include another son, Cristian, now 10. A pillow Nick’s mom bought him sits on his bed and urges him to “Dream Big.” A poster of Albert Einstein hangs on a wall, as well as a sign Sigua handwrote and signed before beginning 11th grade: “From this moment forward, I vow to get the highest grade possible in everything I do.” Even though Sigua had earned all A’s sophomore year, he said he wanted to up his game in his junior year because he knew how critical it was to the college admissions process. Being the valedictorian was “never the end goal,” he said. Sigua jokes that even though he studies hard, he is a huge procrastinator. “Everyone’s always kind of confused about that,” he said, noting that he sent in his college applications on the final day of the deadline. “My mom thought I wouldn’t even get into college because of how late I sent them,” he said. Sigua is graduating with a 103.02 weighted GPA, but the economic disparity in the Hamptons once weighed on him. “It was very jarring,” he said, referring to the signs of wealth at the homes where his father used to do yard work. “I think it’s just the gap in wealth that’s crazy to see,” adding that it initially left him angry. “As I grew older, I found that’s not really conducive to promoting change. I tried to change that anger to motivation.” He wrote about working with his father for a supplemental essay for his Harvard application. His family couldn’t afford tutors that cost $100 an hour, test prep classes that cost hundreds more or private counselors who helped with admission essays. But Sigua got creative and took advantage of a one-week free trial of a $400 ACT preparation program he couldn’t afford called Prep Scholar. He also put things into perspective and thought back to the poverty he saw on summer visits with his family back to Ecuador. Sigua’s father broke into tears talking about his son’s achievements. “This is a country where dreams can come true,” the elder Sigua said, wiping his eyes. His son hopes to become a lawyer and work for a large corporate law firm in Manhattan, Boston or Washington, D.C.
His maternal grandmother was in the United States, and in 2007, Gomez’s mother moved here with him and his three sisters. They lived in a spare room in his uncle’s house in East Hampton. “I hated it. I wanted to go back,” Gomez said. Gomez “definitely deserves” his honor, said his friend and classmate Theodore Esposito, 18, noting that Gomez is known for his diligence. “He’d always go the extra mile. He’d always do above and beyond,” Esposito said. Gomez’s mom, Griselda Barrientos, is now a home health care aide for a woman with special needs and sometimes works cleaning houses. 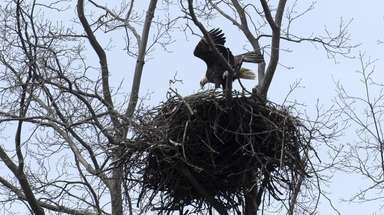 Gomez has two older sisters, Stefany, 26, who graduated in 2015 from Franklin Pierce University in Rindge, New Hampshire, lives in Riverhead and works at the Springs School, and Tania, 22, who recently graduated from Medaille College in Buffalo, where she studied psychology. 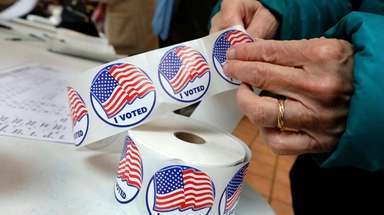 A younger sister, Maria, is a sophomore at East Hampton High School. 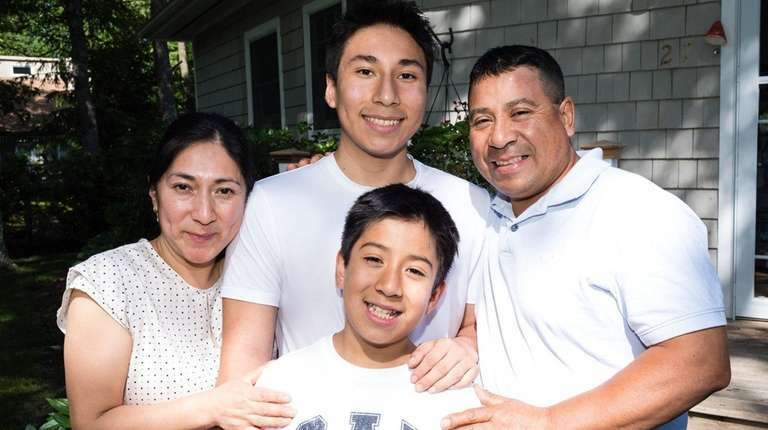 In November, their mother passed the exam to become a U.S. citizen, automatically giving Jonathan and Maria, both still younger than 18, citizenship as well. Gomez, whose GPA is a weighted 102.33, fancies himself a “science kid” and said he does not agree with Trump’s views on immigrants. 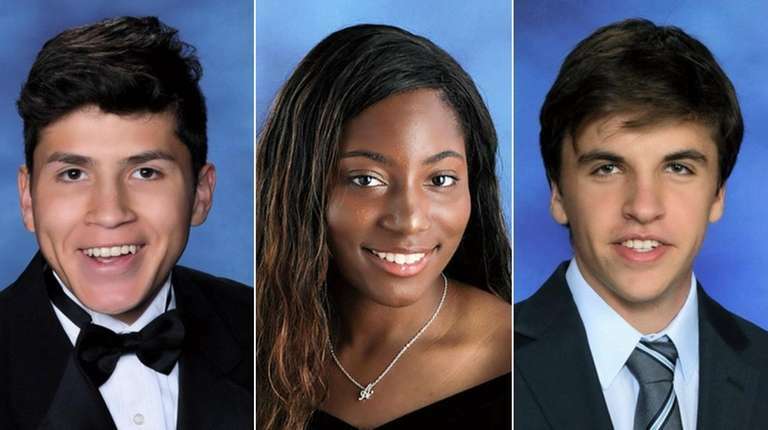 LI's 2008 valedictorians: Where are they now?Newsday caught up with some of Long Island's high school valedictorians from 2008. 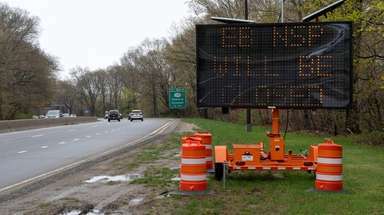 Here's what they've been up to, and the advice they have for today's graduates. Meet some of LI's notable high school alumniFrom astronauts to musicians, Long Island high schools have produced some rather notable alumni. 17 celebrities who were valedictoriansSee which stars graduated at the top of their high school or college classes.